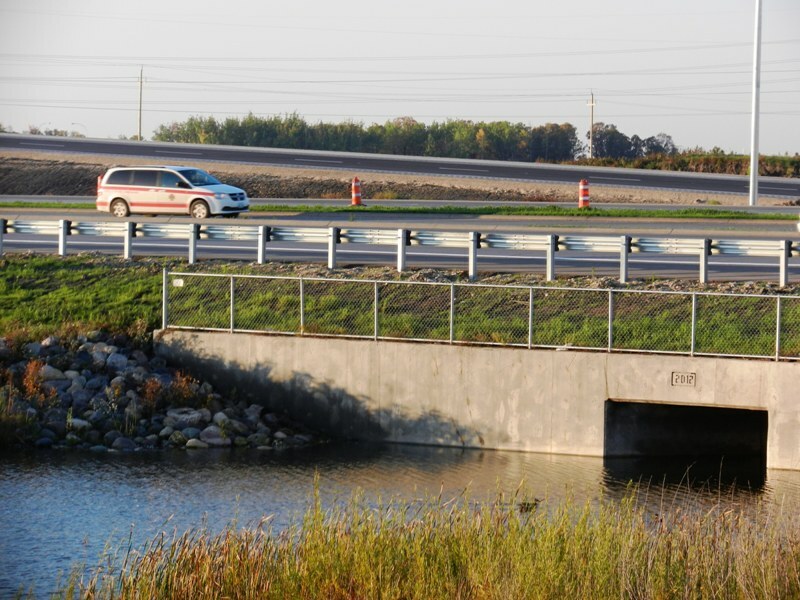 It was just two years ago that the Kenaston extension was built to feed traffic from one of Winnipeg’s busiest roads into Winnipeg’s largest, sprawlingest, new suburb — Waverley West. 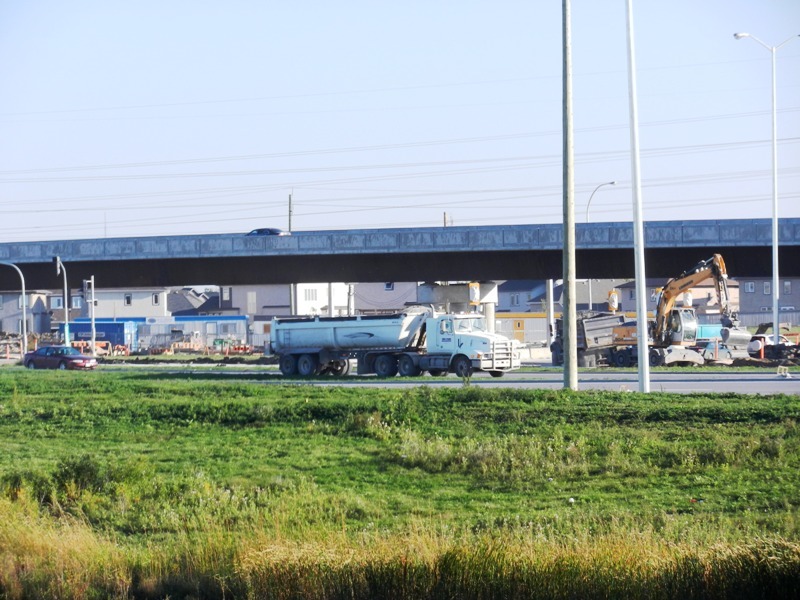 The purpose of the new stretch of Kenaston Boulevard, however, was not just to feed commuters to and from their new abodes on what was recently farmland, but to funnel cars and trucks out of the city and on to the Perimeter Highway. The document did not specifically say that the intersection with Bishop Grandin at the entrance to Waverley West should be a split-grade interchange, but just two years after building it they have RE-built it with a split grade flyover. How much money was wasted by not building it right the first time? Also, if it was designed originally as an interchange, could it have been designed better? The overpass retro-fit that is in place now requires traffic turning right to be in the left lanes, and traffic going left to be in the right lanes. I have heard that this design was not the first choice of the consultants who worked on the project, but … it’s still better than a plain old stop light on the road. 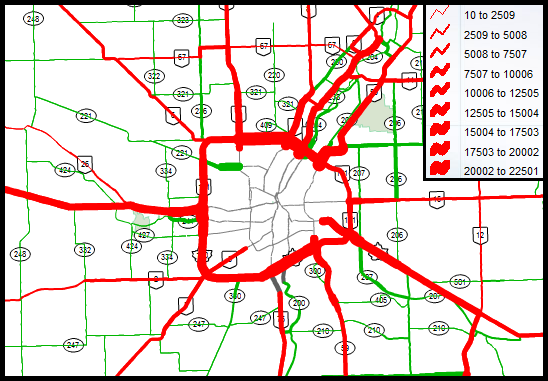 It should be pointed out that intersections with the Perimeter Highway (PTH 100) are a provincial responsibility, whereas intersections within Winnipeg are a city responsibility, but the provincial government could still learn from the city’s mistake. It could also learn from it’s own mistake in building a mangled mess of an intersection at PTH 59 and the north perimeter — a mess that they are now spending $200 million to fix. Or — and this may seem like an extreme idea — the government could use common sense. The Perimeter Highway sees over 17,000 vehicles each day on the south side, including thousands of trucks. The volume of this traffic growing each year, and the Kenaston expressway will create a particularly congested intersection that is not conducive at all to the efficient flow of traffic. 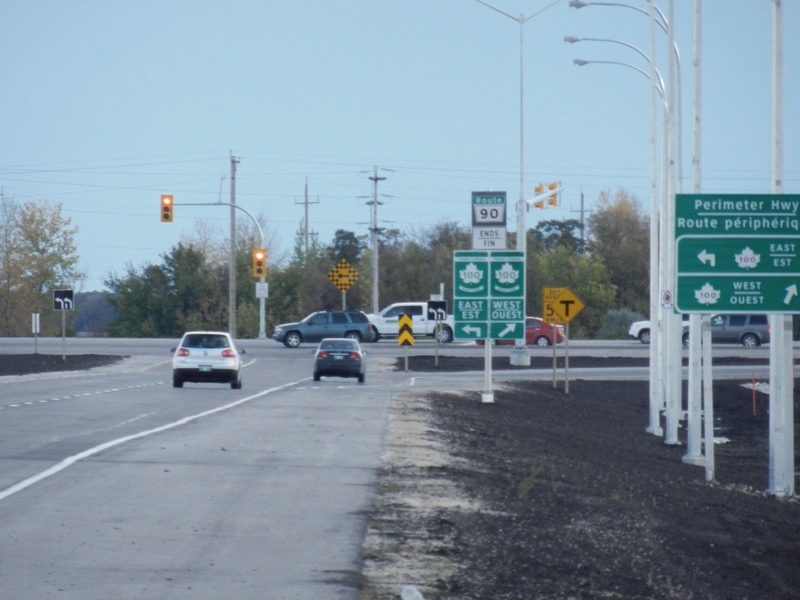 With 4 other at-grade intersections and 2 grade level railway crossings, the South Perimeter Highway will now have 7 locations where drivers need to be prepared to stop. Cities much smaller than ours have figured out that traffic needs to move quickly and efficiently around the circumference of the city, but in Winnipeg we continue to make things worse. I get that interchanges cost money, but substandard infrastructure has it’s own less obvious costs. Poor traffic flow is bad for industry. Stopping and starting on a highway costs fuel, time and money; and creates green house gas emissions. These things add up, plus poorly designed intersections cause accidents and potentially cost lives. Besides, how much money is the province making on the Waverley West development? The suburb is largely a provincial initiative built on provincial land. They could, and should, pony up for a proper interchange at the Perimeter Highway entrance, but they choose not to. “Northbound Kenaston Boulevard and Bison Drive: A flyover shall be necessary at the intersection of northbound Kenaston Boulevard and the future configuration of Bison Drive. Kenaston Boulevard should underpass Bison Drive at this location. That didn’t happen either. Those intersections have already been built, and they were built at-grade with stop lights in contradiction to the initial plan. It might seem terribly unappealing to have flyover intersections in the middle of a residential community, but this is the fault of the planners who concocted Waverley West. Routing an “expressway” through the middle of a community was probably done so that it could serve a dual-purpose, but it requires the sacrifice of either the efficient flow of traffic, or the walk-ability and live-ability of the neighbourhood — or both in reality. At least if the recommendations for split grade intersections had been heeded, there would be some hope that traffic flow through Waverley West and out to the Perimeter could be reasonably efficient. Instead, the lowest cost option was taken, knowing that it will cause problems down the road. It is a demonstration of the appalling short-sightedness on the part of both the civic and the provincial government. I’m going to assume that they are planning on tearing up the perimeter and Kenaston intersection within the next two years to build an overpass. How else can you explain that the actual intersection portion with there perimeter has no appropriate concrete base and is essentially asphalt over gravel. That intersection will be destroyed within 2 years from the heavy traffic volume.